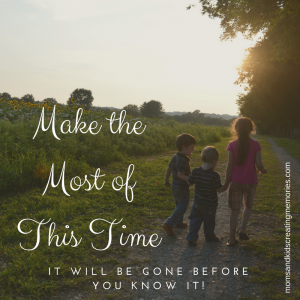 I am always looking for new and fun crafts to do with my kids. With Easter right around the corner I tried to start thinking of some new ideas. When Easter is around the corner (and a lot of times long before that) you can buy easter eggs almost anywhere. So this year I decided to do something a little different with my kids and easter eggs, we painted with them. 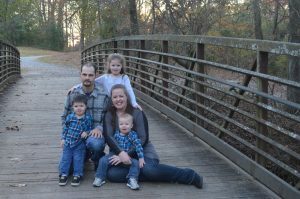 Once you have gathered all the above supplies gather your kids and get ready for some fun. I used a cheap plastic tablecloth I had around to put on the ground under where my kids would be painting. I did this just in case some eggs escaped the box and fell on the ground while the kids were having fun. If you don’t have a tablecloth you could have your kids do it on a floor that is easy to clean or outside if the weather is nice. While my kids were painting with their Easter eggs none of them escaped the box but I was with them the whole time. 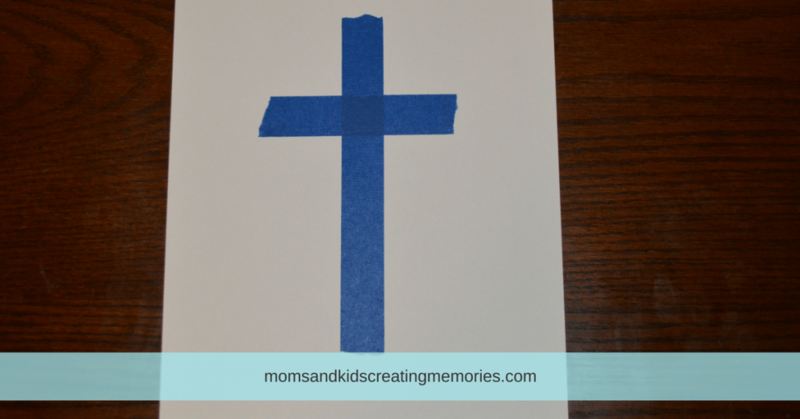 Optional additional step – put painters tape on the paper in the shape of a cross before you put the paper in the box. Step 3: Put some Easter eggs in the box. I used four in my box but it was kind of a bigger box so if you are using a smaller box you might want to use fewer eggs. 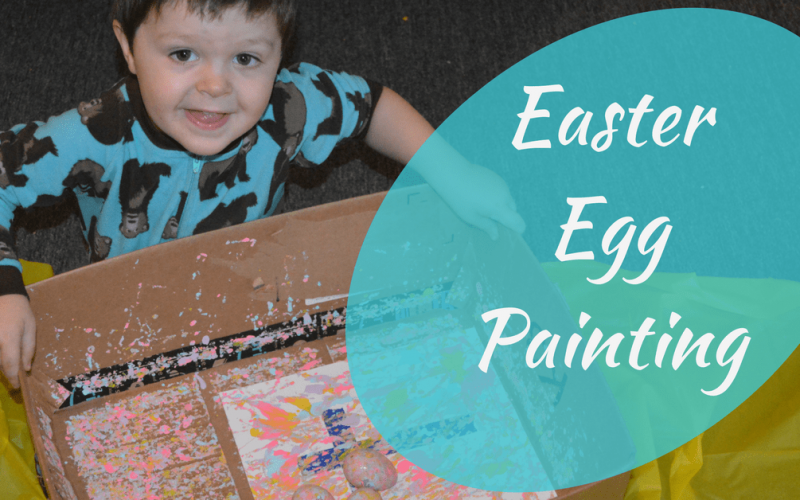 Step 4: Let your kids move the box back and forth to get their Easter eggs to move back and forth over the paint and paper. 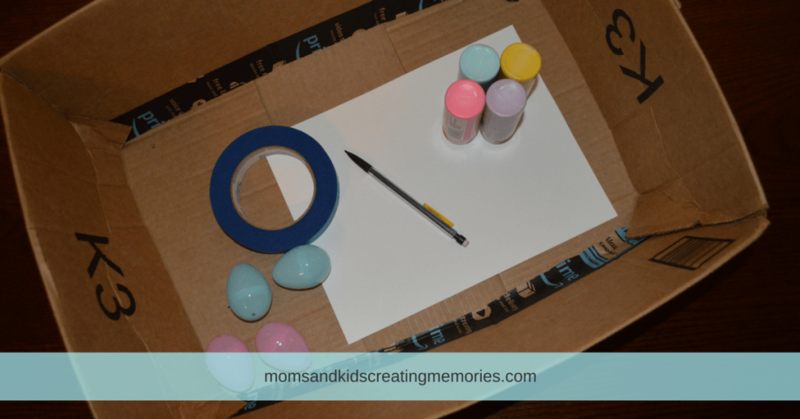 Step 5: Allow your kids to Easter egg paint until they feel like the picture is finished. Step 6: Take the paper out of the box and set it somewhere to dry. Optional additions step – remove the painter’s tape carefully. Option 1: Cut out a hill and cross out of construction paper and glue it onto the bottom of the paper. I let my six year old do this herself and she did a great job. Option 3: Leave it as a full sheet and post a picture on it or using it as a mat in a picture frame. 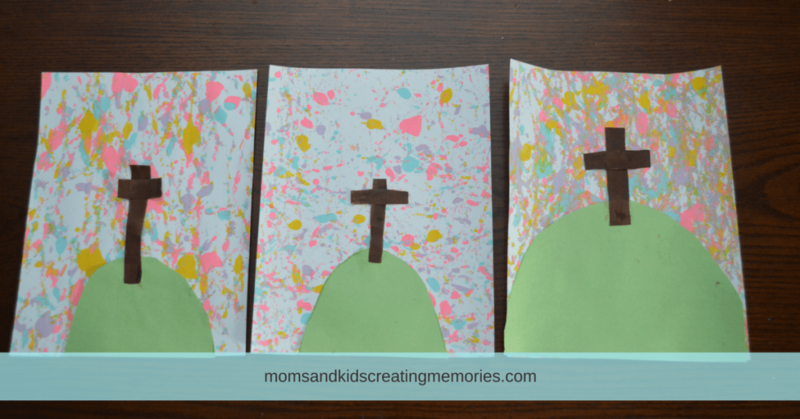 Option 4: Make it into a card that your kids can send to their grandparents for Easter or just for fun. 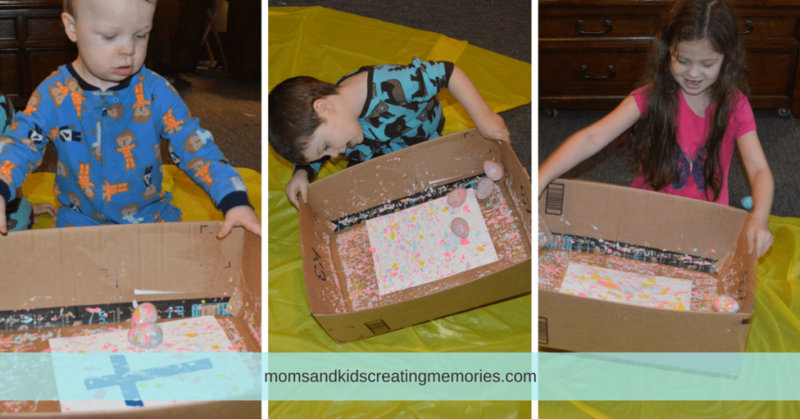 My kids had so much fun with this easy craft. It was fairly mess free and it can keep them busy for a while. This is definitely a craft we will do year after year. 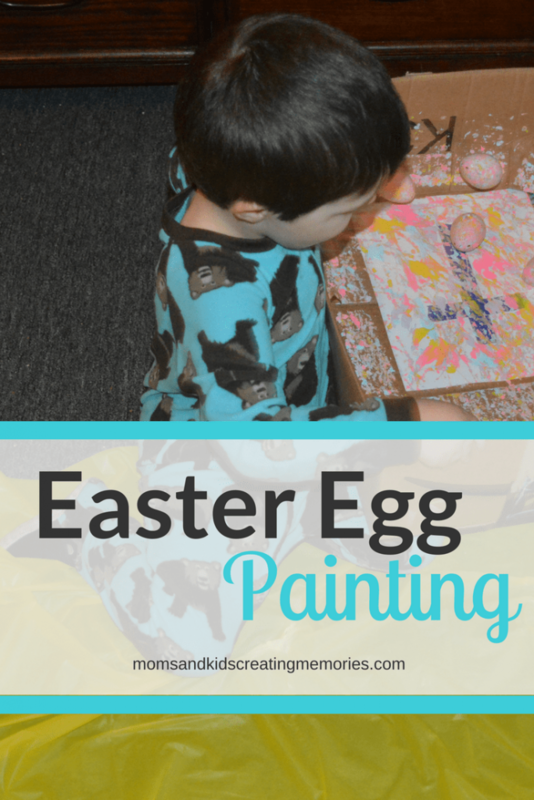 Let me know how your kids like painting with Easter eggs, just comment below. 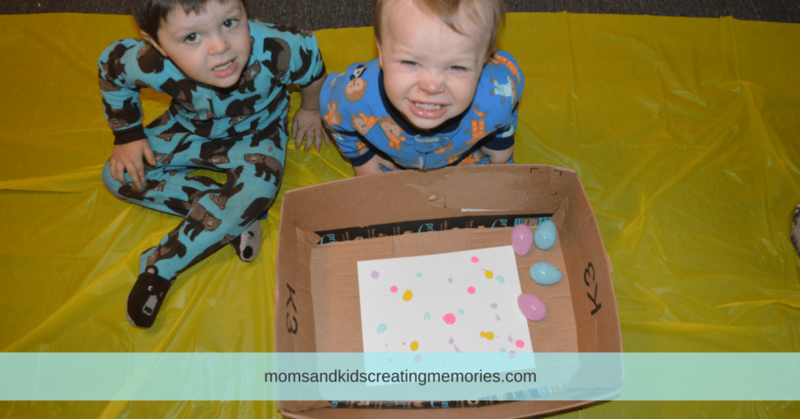 There are so many fun things you can do with Easter eggs so check out this post about 10 Fun Things to do With Easter Eggs. 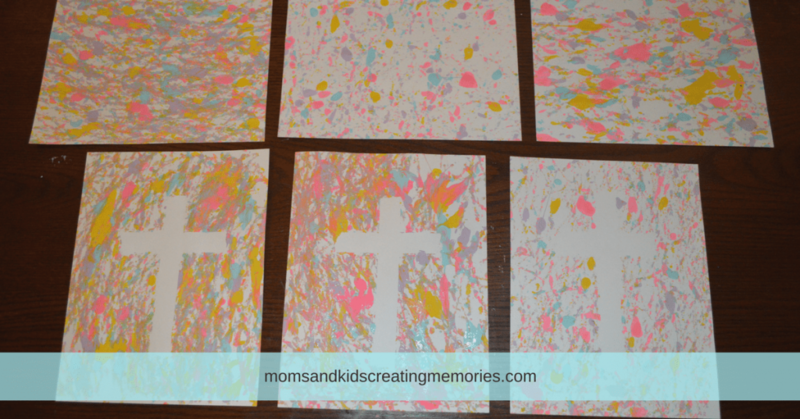 If you are looking for another fun paint craft to do with your kids check out this Canvas Art.